I was born in Lyon, France, on March 1st 1946. I graduated from the Université Claude Bernard in 1968, while I was working as a teaching assistant at the E.C.A.M. since September 1965. In 1969 I was awarded the Agrégation in Physics. I taught for one year at Lycée La Martinière at Lyon, a preparatory class for engineering schools while in the Graduate School of Theoretical Physics in Marseille. In October 1970, I became Assistant Professor at the Université de Provence, Marseille, where I stayed for twenty years, becoming eventually Full Professor in 1991. Throughout this period, I was a member of the Center of Theoretical Physics of Marseille. I defended my Ph. D. thesis in June 1974. The subject was Quantum Field Theory in External Fields. 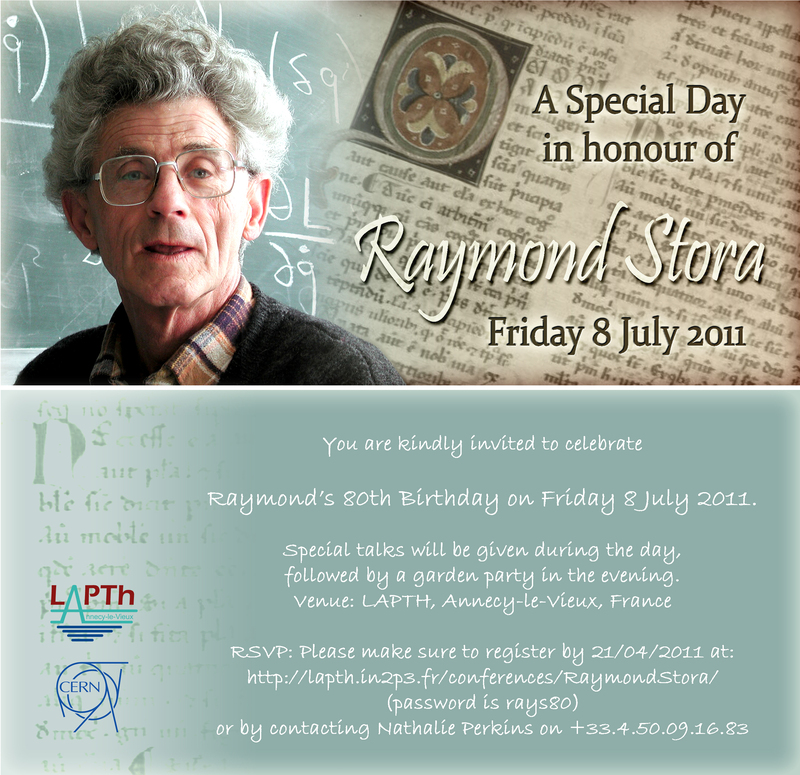 My thesis advisor was Raymond Stora, the physicist whose name is the "S" of the BRST transformation which occurs in nonabelian gauge field theories. I became Associate Professor in 1980. During the eighties, I visited the U.S. numerous times: I stayed for a year at Princeton as an Associate Professor in Physics and in Mathematics in 1983-84, and at Caltech for six months as a Visiting researcher in 1986. During this period, I was the Graduate Coordinator of the Graduate School in Theoretical Physics, common to the Universities of Aix-Marseille I & II, of Toulon and Nice from 1984 till 1990. Then, I spent the year 1990-91 in Berlin at the Wissenschaftskolleg zu Berlin, just after the Berlin wall had collapsed: it gave me a chance to teach a semester special course at the Humboldt University where Planck, Einstein and Weïerstrass had taught in the past. I became an Associate Editor of the Review of Mathematical Physics, during this period. From 1991 till 2002, I was at the Université Paul Sabatier, Toulouse, where I created the Group of Theoretical Physics. I was chairman of the Department of Physics from 1992 till 1996. From 1993 till 1999, I was the Chief Editor of the Annales de l'Institut Henri Poincaré (Theoretical Physics). On January 1st 2000, this journal merged with Helvetica Physica Acta to become the Annales Henri Poincaré, with Vincent Rivasseau as chief-editor. Since 1995, I have been a Senior member of the Institut Universitaire de France. 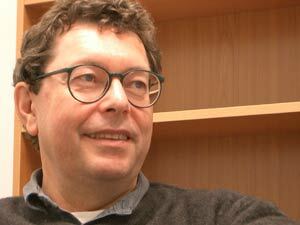 I resigned from being the head of the Toulouse Group of Theoretical Physics in 2000 that permitted me to visit MSRI, Berkeley, in 2000-2001. I spent the year 2001-02 in Paris at the École Polytechnique and the I.H.É.S. while joining the Laboratoire Émile Picard, Department of Mathematics, Toulouse. I moved to Atlanta GA on August 16, 2002, where I have been Full Professor at the Georgia Institute of Technology, with a position in the School of Mathematics and in the School of Physics . I am officially retired from my position of Full Professor in France since 2007. I also became Associate Editor of the Mathematical Physics Electronic Journal (see also here ) created by Giovanni Gallavotti in 1995. In 2006 I became Associate Editor of the Journal of Noncommutative Geometry newly created by Alain Connes. I have been nominated Fellow of the American Mathematical Society in 2012. I celebrated 50 years of teaching on April 30th 2015~! 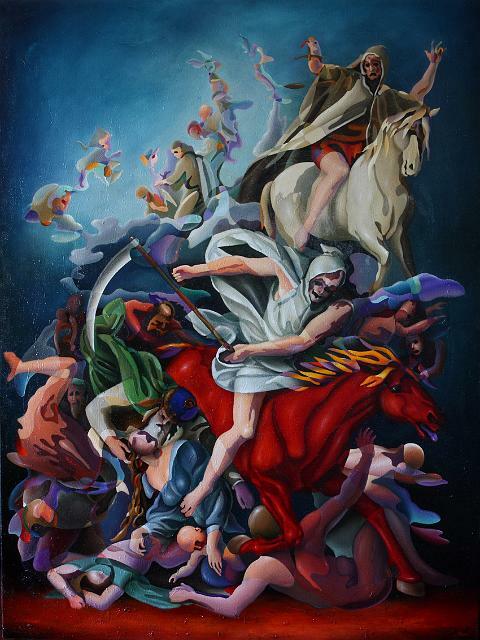 "At the opening of four seals, four horses appear. Their colour is white, black, red, and sallow, or green (chloros, piebald). They signify conquest, slaughter, dearth and death. " The four calculus professors with the lowest class averages at Georgia Tech are known as the Four Horsemen.